The original Protestant congregation in Daphne was known as the Eastern Shore Mission. The Reverend Lorenzo Dow, who visited by horseback to hold services in private homes, founded this mission. The Reverend Dow was the first Protestant itinerant minister to preach in Baldwin County. The first church was a wooden structure that was built next to the graveyard on Old County Road 12 Both Methodist and Baptist citizens attended services. 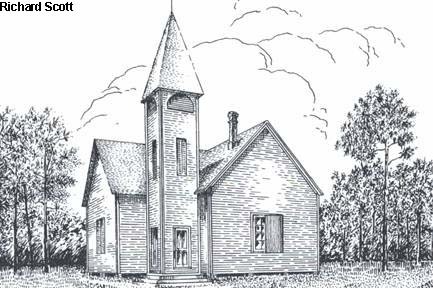 As the congregation grew, the Methodist members withdrew to build their own church in 1858. 30 The Baptist members built this lovely brick church on land donated by Mr. William Dryer and Mr. Clarence Dryer. The original church bell now hangs outside on the north side of the main entrance.